I hope you enjoy looking through my website. 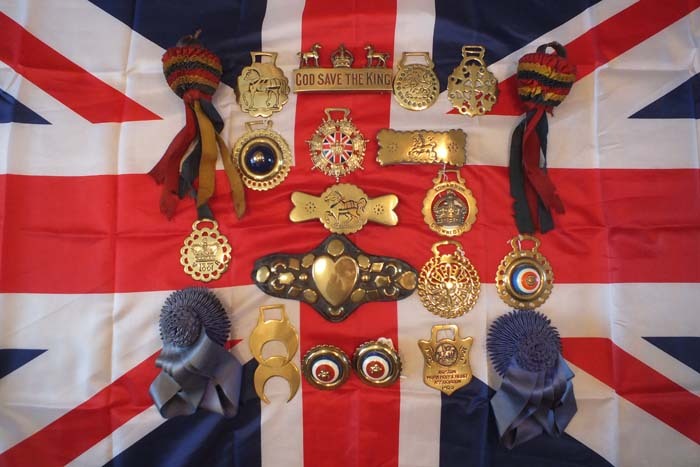 I stock a good range of quality horse brasses & horse decorations, which include genuine horse brasses, commemorative brasses, martingale straps, swingers, rosettes & books on horse brasses. If you would like to purchase anything, please contact me using the 'contact me' form. I will reply as soon as possible. These are listed in the item description. Naturally I want you to be happy with your purchase, if for any reason you are not satisfied, feel free to return the item. Payments can be made via Cheque, Postal Order or PayPal. If you have any old horse brasses you want to sell, please get in touch. In particular, I'm looking for Saddler brasses, Makers brasses, Unusual pattern brasses, Commemorative brasses, Engraved Intaglio brasses, Plain sun flash brasses & Pony brasses.